Finally I get to taste one of Chef Carl Clarke's burgers! I tried at The Rising Sun residency, but they were shut, and I ended up in Bread Street Kitchen that night, and for some reason I never went back. I now know how foolish that was. What had been intended as a 'burger twitter & blogger meet' turned into just me and @fatpants - I'd read the meet time incorrectly and we were there a couple of hours earlier than everyone else. Sorry guys. 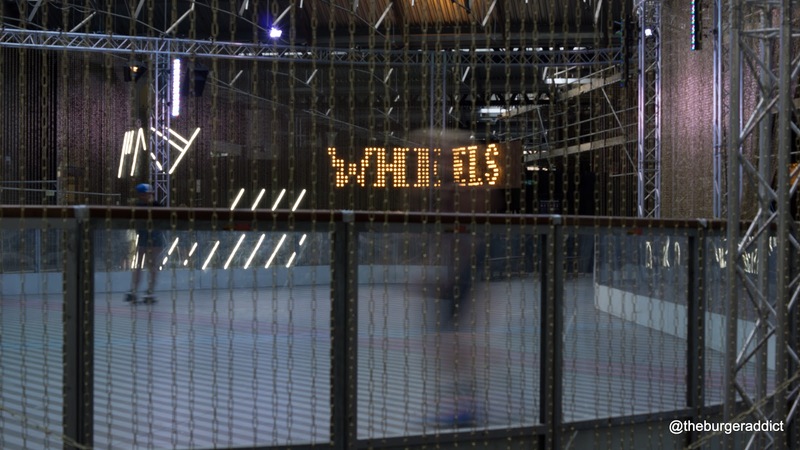 Located a few minutes walk from Kings Cross station, the 8 week popup's inside the roller skate rink with a list of DJ's lined up for the summer months. 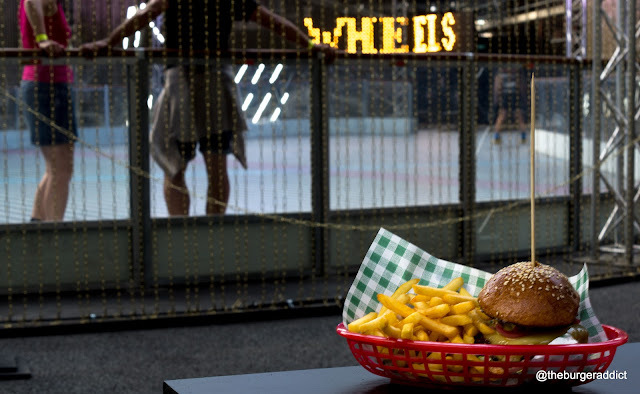 With Elliot's open for at least 4 weeks in the summer and this, the summer burger scene is looking good. Straight off the bat, this burger is excellent. 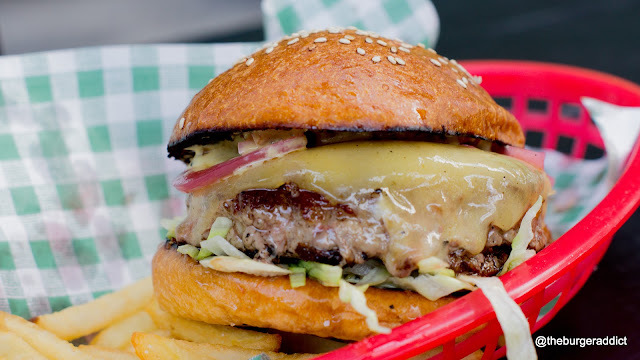 You can tell the quality of the burger straight away when you pick up the delightfully spongy brioche bun. 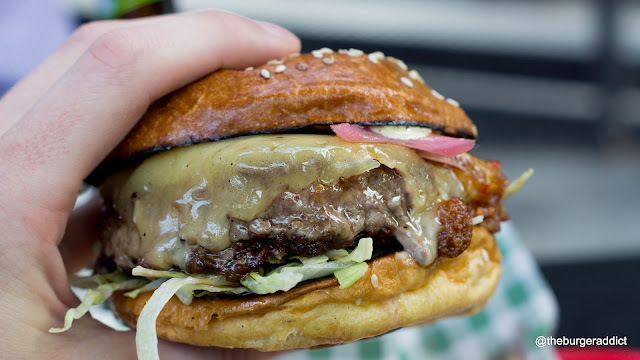 Despite it being light, the quality is obvious and with the firm surface, there is no danger, even though it's fully packed, of it splitting whilst eating the burger. 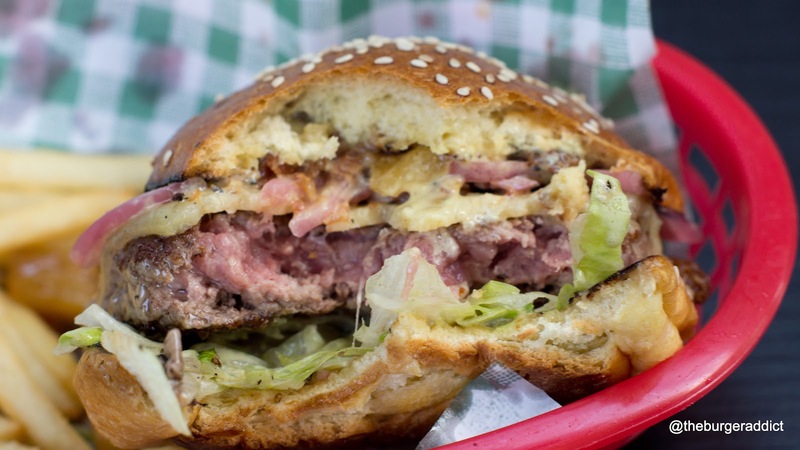 The patty is cooked to give a premium char on the outside whilst remaining pink, soft and juicy in the middle. 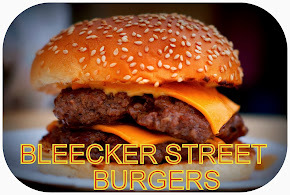 Definitely one of the juiciest patties in London, so make sure you have some napkins at the ready. I had my doubts about the pineapple bacon jam, but one bite in that subsided - It wasn't too sweet. 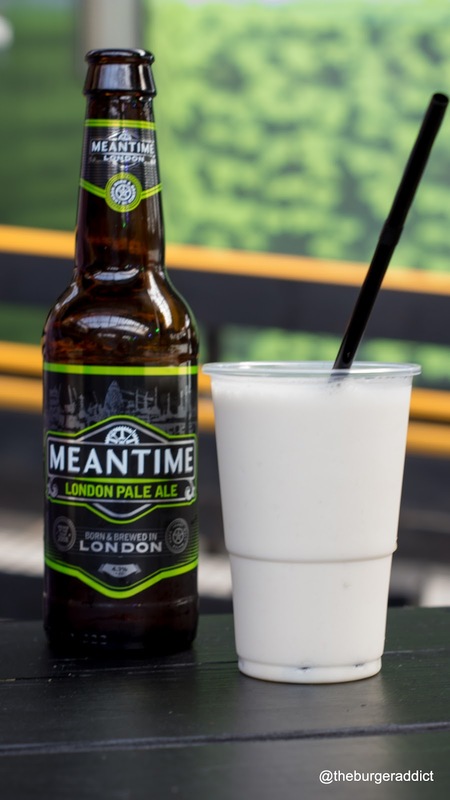 The bacon and juicy pineapple worked great together, and this with the pickled onions matched together to give a wonderful zing to the burger. 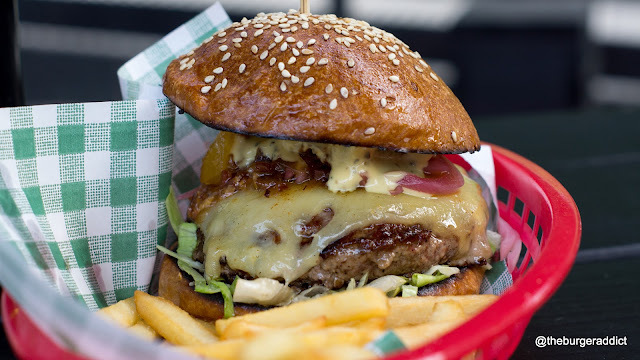 The cheese covers the top and sides of the burger and this deep mature flavour again just adds to the combination of quality toppings. I loved the fries as well. A suped up McDonald's chip, that had a tasty crisp and a complete potato fluffy centre. Too often with these fries you have empty tasteless air pockets, these were potato packed and I demolished them alongside the burger. The hard shake was pretty special as well. With spiced rum and banana, it gives you a feeling of being in a Caribbean island maybe more so then a skate park in Kings Cross, they were as hard as you like. The raisins at the bottom is how I want them to be from now on, massive alcohol juice bursting delights. As much as I recommend the I wouldn't recommend too many of these shakes before going into the skating ring. Only the slightest over seasoning on the patty stops this from being a 10, and that's something quite minor when considered the quality of the rest of the burger. 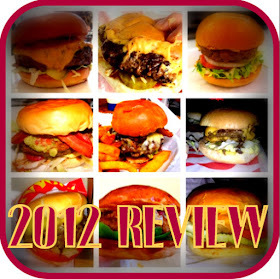 One thing that's not in doubt, the previous revellers were right, this is a great burger! I'm gutted it took me so long to get my hands around one of Carl and his team's burgers - It won't be that long before I get my next one. Get your skates on and get yourself one.